What was true in the early days of our country is still true today: Education is the key to success in life. For most American children, the school is the focal point of their education from kindergarten through high school. It’s the building many kids call "home" for six or more hours a day...it’s where they learn, where they socialize and where they develop skills that will last a lifetime. While the importance of education remains constant, what is different now from yesteryear is how and where children learn. It’s obvious that the one-room schoolhouse has gone the way of the horse and buggy, replaced by modern technological structures built to educate children in the 21st century and beyond. We are proud of our portfolio of completed K-12 education projects which include recent additions in New Brunswick, Keansburg, Newark, Paterson and Millville, New Jersey as well as the Bronx, New York. Townships and school districts are making important investments in their educational infrastructure and our architects and engineers have extensive experience designing and delivering high-performance design-build "21st century" K-12 school buildings. We are also LEED-certified specialists. With the 2017-2018 school year now in full swing, our autumn newsletter will highlight our education work and the professionals who are working to design and build the next generation of schools for the next generation of students. Whether it’s creating brand new schools or redesigning space in existing buildings, PS&S is helping to reshape the learning environment for thousands of children. 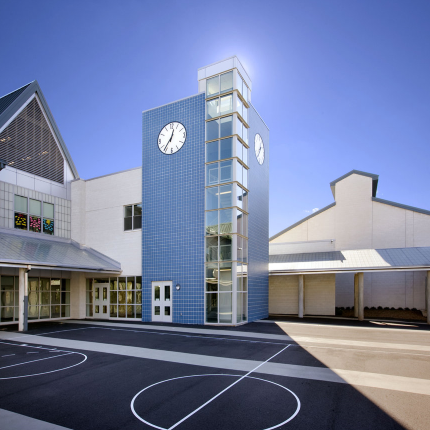 For the past 15 years, PS&S has provided its full complement of architecture, engineering and environmental services that school districts need to rebuild and upgrade their school buildings into 21st Century learning facilities. Currently, there are more than 2,500 K-12 schools in the state of New Jersey, many of which need extensive technological and sustainable upgrades, if not total replacement . With its integrated design and engineering, PS&S offers a strategic advantage for townships and districts looking to invest in their schools which is certainly gaining momentum in the state. Given this trend, education has the potential to serve as a true growth-engine for PS&S. Ron Weston heads up the company’s Education Sector. Ron joined PS&S in 2011 and is a senior member of the Architecture & Engineering Practice where he is involved in business development and management of A/E projects. Ron is a graduate of Syracuse University and is a passionate advocate for sustainable design, environmental protection, and smart land use planning. "It is extremely rewarding to design buildings where children can learn and grow," Ron said. "I don’t mind dealing with the myriad challenges with these public projects, when at the end of the project you get to cut a ribbon on a new school. Schools are investments in the future and will be around for generations." 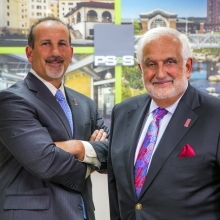 In New Jersey specifically, PS&S offers design-build delivery expertise with several completed projects standing as proof that this is the wave of the future. If the old adage is true that time is money, this process is a win-win. The process allows for one contract and one unified flow of work from preliminary design through completion – thereby integrating the roles of designer and constructor. Design-build is an alternative to the traditional design-bid-build project delivery method and it certainly saves time...and money. In just the past year, PS&S had the privilege of helping to unveil three brand new schools. 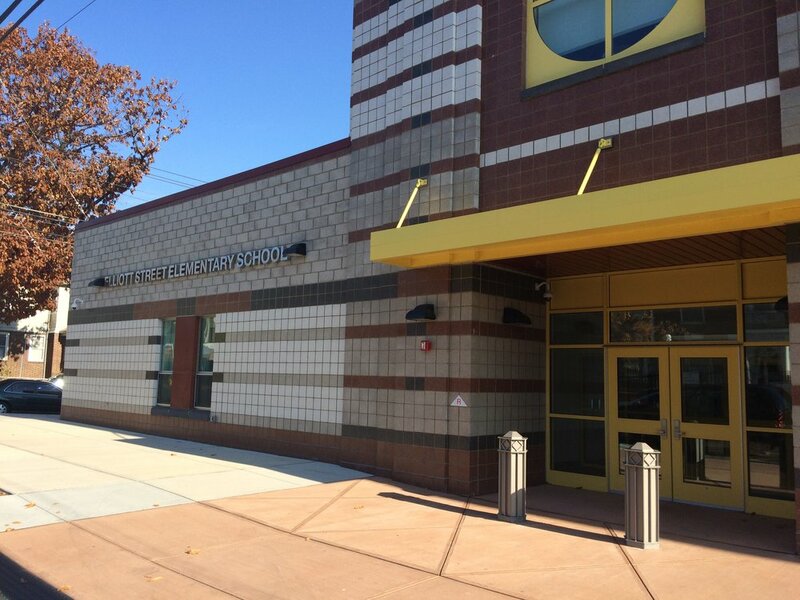 In New Jersey, the company successfully teamed with Farmingdale, NJ-based Hall Construction on six NJ Schools Development Authority (NJSDA) design-build projects, including two award-winning schools which opened in 2016: Elliott Street Elementary School in Newark and Joseph C. Caruso Elementary School in Keansburg. PS&S served as both Engineers of Record and Architect of Record for both schools, working in close collaboration with the design-build contractors. Both projects were recognized with Distinguished Engineering Awards by the New Jersey Alliance for Action. 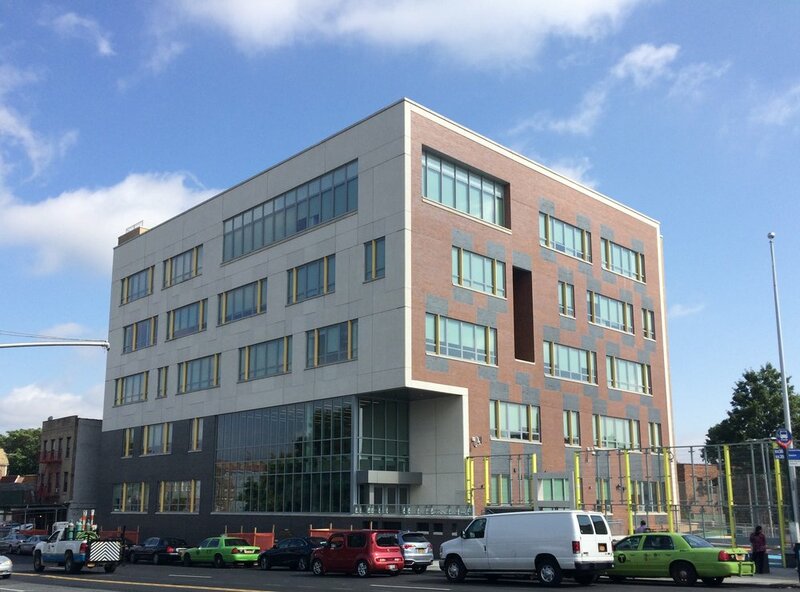 The new $38 million Elliott Street Elementary School, is a 137,889 square foot facility designed to educate 848 students from Grade Pre-K to Grade 8. The new $33 million Caruso Elementary School is 122,000 square-feet and is designed to educate 840 students in grades K to 4. Both school buildings replaced previous old school structures that were no longer suitable for use and were demolished to make way for new facilities. These state-of-the-art education facilities house general classrooms, specialized instructional classrooms and labs, media center, multi-purpose/assembly room, cafeteria, gymnasium and outdoor play areas, as well as administrative and support facilities. Most recently, PS&S’s integrated A/E group, including architecture, civil, structural, MEP and Geotech teams, designed and engineered the state-of-the-art elementary school, PS 583 in the Bronx, New York. The project received a 'Gold' design award at the AIA Newark & Suburban 2017 Design Awards competition, and is now home to more than 500 students and teachers. In addition to public schools, PS&S is pursuing opportunities with public charter schools as well. And the education group also focuses on higher education work. PS&S has partnered with many colleges and universities with competed projects at SUNY Albany, Montclair State University, Richard Stockton College, Columbia University and Rutgers University, just to name a few. One of the clear drivers of the company’s education work is the changing face of technology. Schools need to be built for the 21st Century – they need to be sustainable, environmentally friendly and encourage health and wellness. PS&S has a dedicated group that leads energy projects and collaborates with other disciplines on energy initiatives in both new construction and renovation projects. The PS&S professionals are Certified Energy Managers and/or LEED-Accredited Professionals who have experience on a variety of energy and sustainability projects. "The only definite we know of is that change is inevitable," says Ron Weston. "You can’t account for everything, but you must assume things will change. 10 years ago, the trend in schools was building with fiber cable to the desktop. Now, it’s all about wireless. No one anticipated that cabling would be unnecessary. It’s hard to predict all the technological needs of the future but we need to design with flexibility and adaptability as best we can. The health and wellness of students and teachers, who spend so much of their lives in these buildings, is paramount as we create updated and new schools." For more information, contact Ron Weston at rweston@psands.com.